Welcome to SimonRobinson.com. I'm a software developer and Pluralsight author based in London, UK., mostly working with C# and Microsoft .NET. All courses are subscription-based: You can only view them if you have a Pluralsight subscription. If you don't have a subscription you can sign up for a 10-day free trial , or if you ask me nicely, I might be able to get you a whole month's free trial. This course covers the maths behind how your computer stores and manipulates data. You'll learn how to read binary and hexadecimal, how both integers and floating point numbers are stored and the limitations of using them. 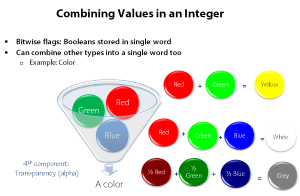 Advice on best practices and how to work effectively with boolean values and bitwise operators. Starting from arrays and progressing to lists, dictionaries, and sets, this course covers the capabilities of the various collection types, how they work under the hood, and performance implications. 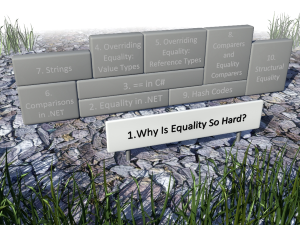 This course teaches you how equality and comparisons function in .NET and the correct way to implement equality and comparisons for your own types. 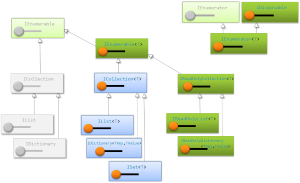 Learn how to use concurrent collections in multithreaded code! 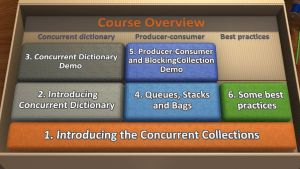 This course will teach you the correct use of ConcurrentDictionary, as well as introducing you to producer-consumer scenarios and the blocking collection.